What are Natural Gemstone Rings? Let's first answer what is a natural gemstone. A natural gemstone/gem is a cut, polished, or carved mineral used in jewelry or any other kind of decoration. A mineral is natural compound with a distinct chemical composition. Minerals usually form in crystals by geological processes. Jewelers set natural gemstones in rings made of a precious metal. Examples of gems include ruby, sapphire, emerald, and diamond. Examples of precious metals include gold, silver, and platinum. Next when finding natural gemstone rings online, select a color. Every color has a range of natural gemstones for every budget. 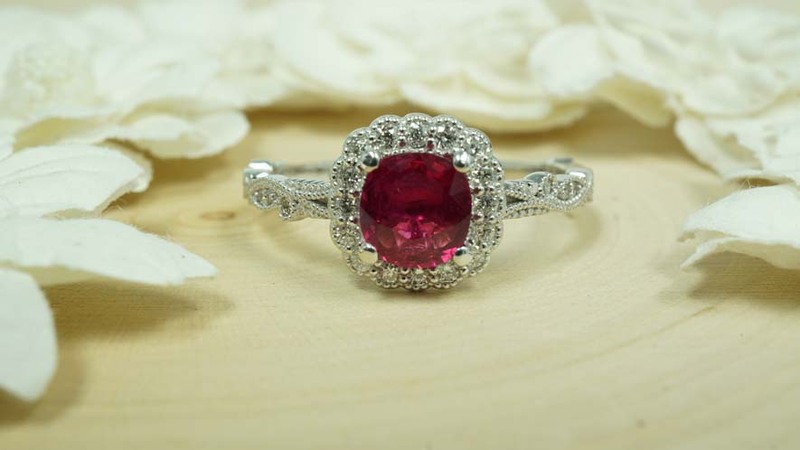 Natural rubies are excellent for large budgets if red is your favorite color. 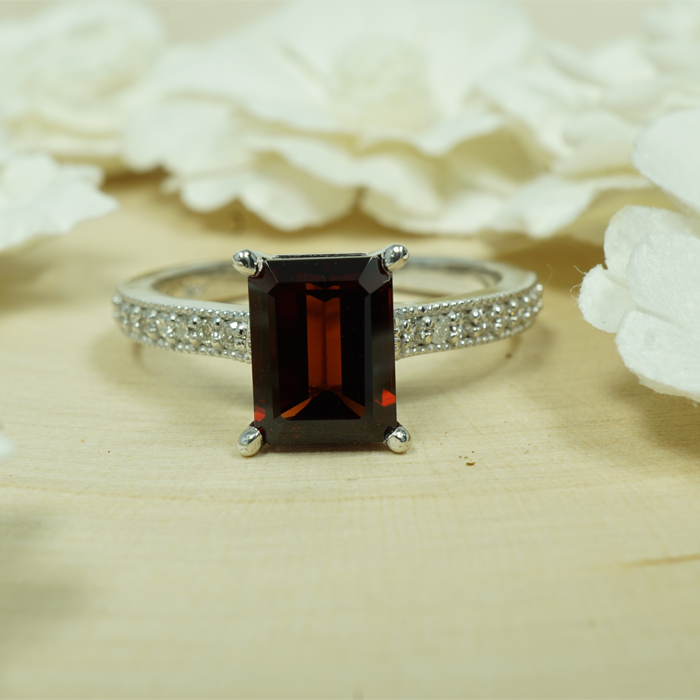 Garnets are affordable alternative in red natural custom gemstone rings. 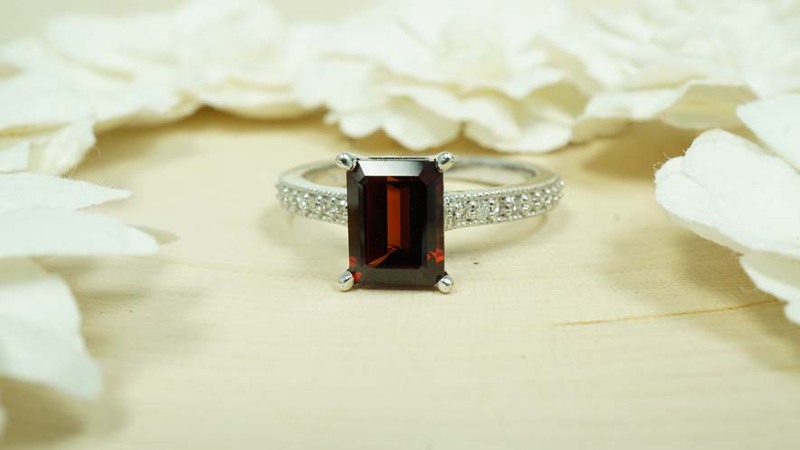 Keep in the mind the stronger the color, the more expensive the ring will be. With a color and budget planned, you can create unique gemstone rings with ease. But which designs should you select? 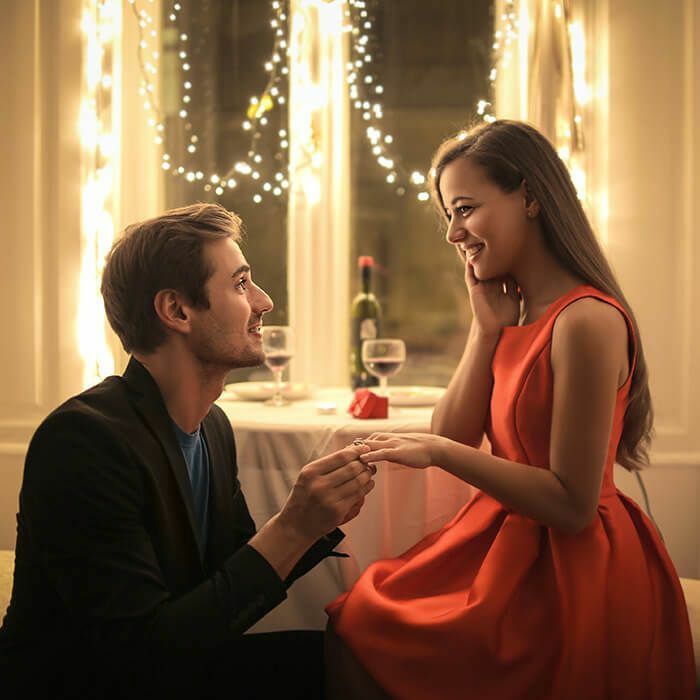 Consider the occasion and when the person is wearing the ring. Rings with large center stones are excellent for formal events and galas. Petite rings with many small gems are perfect for everyday wear. Also keep in mind, the more metal and gem on your custom gemstone rings, the more expensive it will be. AZEERA suggests selecting a metal at the very end of the design process. Metal serves as a practical and aesthetic purpose in natural unique gemstone rings. Metal holds the gems and provides a template for the color palate of your design. Excluding silver, all precious metals are ideal for jewelry. Silver is soft in comparison to the others. Yellow, white, and rose gold gemstone rings are the most popular among AZEERA clients. People select colors to best compliment their gems. AZEERA recommends that you select durable metals to secure expensive gems. While platinum can be twice as expensive as gold, it would be heartbreaking to lose $2000 diamond. You can considered the extra cost as added insurance. Paladium is an affordable alternative to platinum. 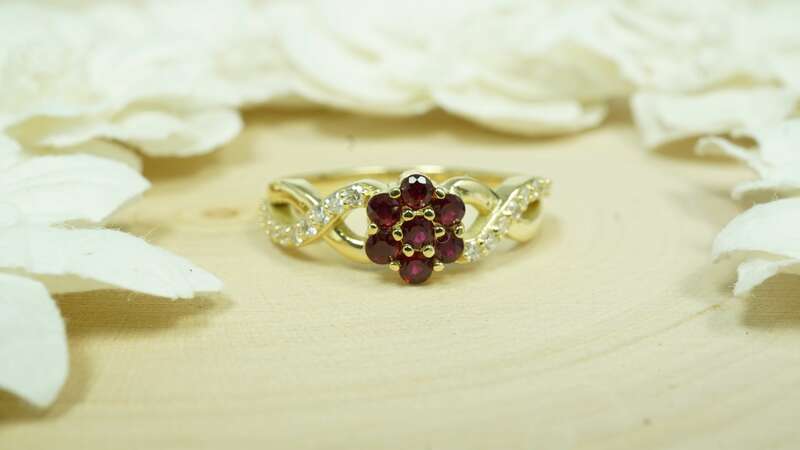 It has the same properties and comes at the cost of natural gold gemstone rings. How to Buy Unique Natural Gemstone Rings? Natural gemstones rings are difficult to buy if one doesn't know what they are looking for. There are over 300 minerals used as gemstones. Thanks to the internet, you can find every type of mineral with a few clicks. Each natural gemstone also comes in a range of qualities. This can be overwhelming. So which natural gemstone rings are right for you? Experts recommend starting with a budget. We value natural gems for their rarity, color, and quality. Budgeting for gemstone rings online will help narrow down the type and quality of ring you can buy. High quality natural ruby, sapphire, emerald, and diamond need larger budgets. Jewelers offer budget friendly versions of those natural gemstones in lower qualities. Less rare gemstones like quartz are affordable in high qualities and large sizes.